[By Design] Strange text conversion from .ai suggests spellcheck errors. When Affinity Designer opens .ai, certain words will show red squiggly lines suggesting improper spelling of words which are not spelled incorrectly. So far I have only noticed this problem with words containing the letter f.
F, and the letter following f, will be combined together into a single character. Can you please attach the original AI file? For what it's worth the original file was saved from ai version 22.1. I also attached a screen grab of the save as dialogue. “Stragne text conversion from .ai suggests spellcheck errors.” Oh, the irony! Thanks. In the AI file you have got ligatures on for all the text, and those ligatures will be exported as ligatures in the embedded PDF, and will not have an option to use standard characters. Since we currently only read the embedded PDF inside the AI files, you will always see the spell-check line under words with ligatures, as that ligature is treated as one character, rather than 2. Not a bug, but just how it works. Thanks. In the AI file you have got ligatures on for all the text, and those ligatures will be exported as ligatures in the embedded PDF, and will not have an option to use standard characters. ﻿Since we currently only read the embedded PDF inside the AI files, you will always see the spell-check line under words with ligatures, as that ligature is treated as one character, rather than 2. Not a bug, but just how it works. Thanks, Gabe. In the related thread we had figured that ligatures were probably the reason for the issue, and it's good to have confirmation of that. However, I remain a bit puzzled. I have attached a .afpub file that uses ligatures, and a PDF exported from it. For my own education, I'd like to understand why opening the PDF in Publisher doesn't have the same problem. What's different about the PDF content in the .ai file compared to the PDF content generated by Publisher that lets Publisher recognize the individual letters in one case but not in the other? 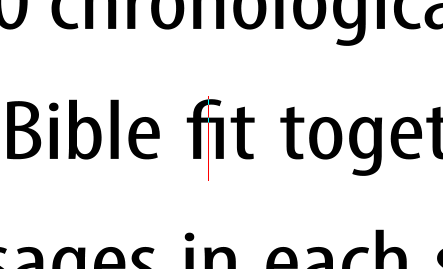 It looks as though AI is including the ligature glyphs in the PDF stream, instead of including the individual character glyphs and leaving it to the receiving application to obey the OpenType ‘Standard Ligatures’ setting. Oh, I really don't think this thread should be closed as by design. 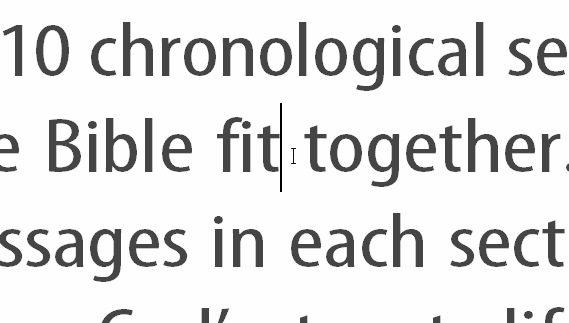 Other applications can open the PDF portion and see the ligature as a ligature. However, most telling is that PagePlus X9, which using almost the same version of PDFLib as do the Affinity applications, can decompose the ligs into their constituent parts. This issue should at least be improved by Serif instead of closed. I would consider myself an amateur, this is just part of my job as I'm the only one with a little experience in this area. So for dummies like me oblivious to this setting and not even realized it was turned on, and who already canceled their CC subscription, it would be nice if there was some way if AD could "fix" this for me. Either during the import ask a question, or some setting after import where you can convert ligatures back to individual characters, or however that works. Although I suppose by the time such feature is implemented, it will no longer be of any use to me. But hey, for the next guy! I've logged this with our developers for further investigations, as it seems to work differently, depending on the program used to create the ligatures. 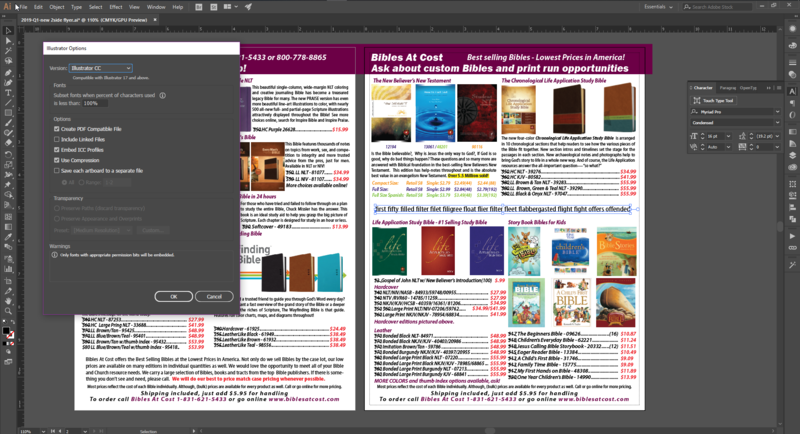 The difference between the PDFs is that the InDesign one doesn't include a ToUnicode table. Testlig2.pdf does contain ToUnicode, and its that table that maps the ligature to a pair of characters. Even without that table we will convert known ligatures automatically, but only if you have ticked Favour editable text over fidelity. If that is unticked, then we try to give you as close to what is in the PDF as we can, and that means leaving ligatures alone. I ask because what is embedded in an AI file when Create PDF Compatible File is turned on as the Adobe Illustrator file has in this thread, it is a Unicode encoded PDF 1.5 file. ...Even without that table we will convert known ligatures automatically, but only if you have ticked Favour editable text over fidelity. If that is unticked, then we try to give you as close to what is in the PDF as we can, and that means leaving ligatures alone. Thank you for clarifying this difference. I wouldn't have thought that this setting affects ligs. Now I know. I wasn't referring to any other thread. I was looking at 2019-Q1_2_page.ai, which doesn't have a ToUnicode table. Instead it uses WinAnsiEncoding, with some differences for the ligatures. That's enough for us to understand what the characters are, including mapping the ligatures to their correct Unicode code points, but it only gives a single Unicode code point for each named glyph. The ToUnicode table can specify multiple Unicode code points.